﻿Drawing inspiration from veterinary medicine, researchers have developed a new prospective approach to diagnosing tuberculosis (TB) - easy-to-obtain oral swab samples, greatly improving on standard diagnostics. The findings are published in the journal Scientific Reports. TB claims more lives each day than the cumulative toll of the Ebola outbreak. Diagnosing TB conventionally involves collecting and testing a person's sputum - thick, gluey mucus coughed up from the lungs. Working with sputum samples is challenging due to the material's "horribly gloppy" nature. Sputum can hide pathogens from pathologists because it is difficult to dislodge bacteria from within the mucus' milieu. Also, in order to produce sputum, patients must cough, which puts sample-collecting public health workers at risk for contracting the disease. In search of a viable alternative to sputum samples, the scientists swabbed the mouths of 20 healthy individuals and 20 TB patients. In 18 of the 20 confirmed TB patients, TB was detected in oral swabs. None of the samples from healthy volunteers tested positive. 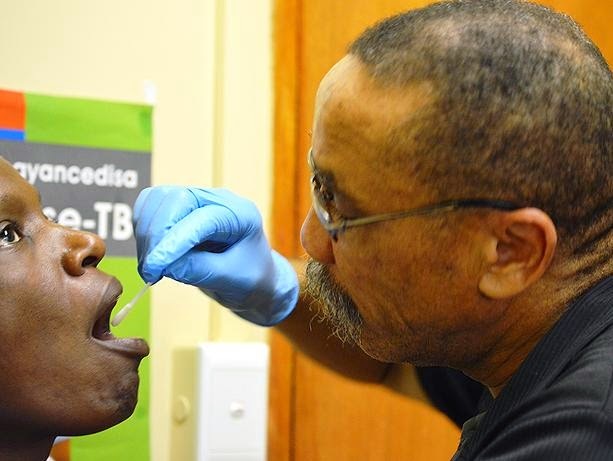 Previous efforts to test for TB in materials other than sputum, such as blood, urine or exhaled breath, have been limited by much lower accuracy, with detection rates typically below 50%. Moreover, safely obtaining blood or urine samples requires specialized certification, whereas volunteers with minimal training may collect oral swabs. This could open the door to widespread implementation of this new approach. A long-term goal is to enable active TB case finding, in which at-risk populations are actively screened for the disease to identify and prevent opportunities for transmission. The researchers stressed that the study is merely a proof of principle, limited by its small size. Efforts are under way to expand this initial study into a large-scale controlled trial. Yet the preliminary success offers hope for greatly improved TB detection and control, especially in nations with limited public health resources. Based on material originally posted by University of Washington Health Sciences/UW Medicine.